I have people emailing me wondered where to find the best tiny house?resources. I’ve been super lucky to have met loads of people (in real life and online)?from all over the world who are doing really cool things with tiny houses and sharing that information. 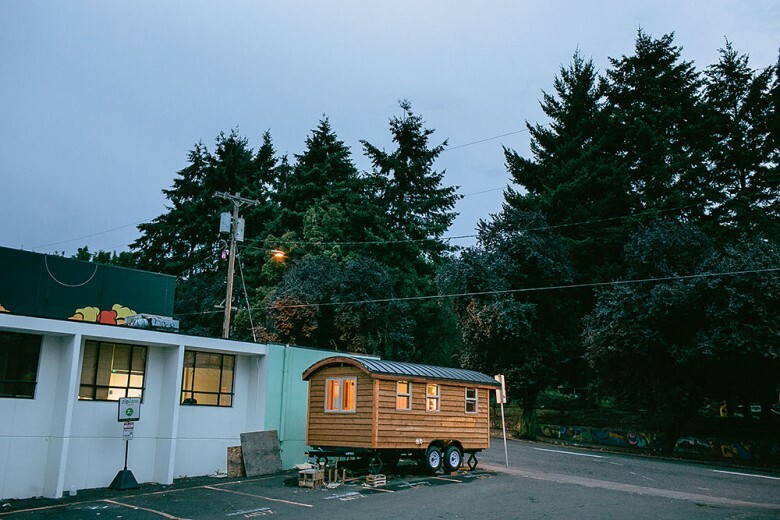 Run by Joan Grimms & Dee williams, Portland Alternative Dwellings has been incredibly influential for the tiny house movement for many, many years. Dee has lived in her own little house for over 10 years, has written a best selling book about her journey and runs regular workshops?and meet ups. Gabriella and Andrew built their own tiny house, and offer it’s plans online, as well as loads of resources on their blog and a how-to construction DVD. Not only are they super nice people, they’ve shared so much info over the years of how to do it. Alek designed and built his own?unique tiny house back in 2013. His resource page is loaded with books and guides, including the best water heaters, must have tools, the best modern tiny house?plans and more. Alek also wrote a really really nice review of Small is beautiful over?here.? Ryan over at the tiny life keeps super busy. He runs the Tiny House Conference each year, regularly blogs about his experience and tests of building and living in a tiny house, as well as writes short ebooks to help get through some of the hurdles with tiny houses. Including, Cracking the Code (building codes for tiny houses) and Shockingly Simple Electrical? (Guide for electrical for tiny houses). Offering?a daily and weekly newsletter, Tiny House Talk pumps out so many tiny (and small) house articles that?it’s hard to keep up. If you’re looking for loads of inspiration, regular content and to go “down the rabbit hole” of tiny house content on the internet, say goodbye to the?next four hours of time on the computer. Having one of the?largest collections of photos (over 300+ online) Laura has a lot of insight to offer. Her tiny house is hidden in a beautiful spot surrounded by trees. The only way to get her tiny house out of there is via helicopter (it’s not on wheels and it’s built in place). Living up to it’s name, Tiny House Design shares loads of interestingly designed tiny houses?and stories. Although it seems the?Facebook page is more active than the blog these days, there is still a truck load worth of info and inspiration on there. Want regular tiny house posts? Kent over at Tiny House Blog has new content coming out very very regularly. The website is, as it suggests, a blog about tiny houses and shares a wide range of information, news and cool things going on in the tiny house world. Hit it up. Are there any specific resources you’re looking for? Comment below and let me know! Love you, Jeremy. Thanks for including me!